Good Afternoon & Happy Sunday. A great Trip for Team Vernon J to Kansas City. Today is Sunday 05/11/V3.4 & it is great to be home. I made it safe to & fro. 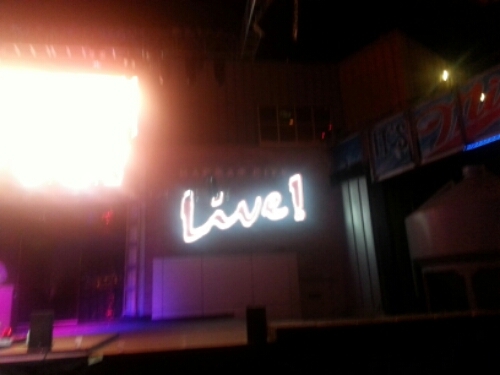 Went to the indie & other portions of Power & Light District on Friday. I’m back in Omaha now. Just deck sitting. These tree came is finally starting to bloom. The word of the day is matrifocal which is focused or centered on the mother. I don’t have much planned today. Going to do some reading & eating. Speaking of reading did you see the great post from the Omaha Public Library? I’m excited for what the future holds for me, you, & Kansas Speedway. I can tell you I turned I’m my mobile twitter sheets at the wrong time. The Storm RT’s are getting out of hand.